Racetrack built by early city speculators is gone. But this house is still here. A modest home in the Mission erected in, perhaps, the early 1850s is on the market — and, boy, the times have changed. In a particularly 2018 touch, the home at 1268 Hampshire Street is a condo, part of a tenancy-in-common, and the bidding opens at $849,000 for an 865-square-foot domicile — just shy of $1,000 per square foot. When Maine-born U.S. Army veterans John and George Treat had this place built, it might have run them $500, estimates San Francisco architectural researcher Gary Goss (that’s about $14,000 in today’s money). The house is listed on the Planning Department’s South Mission Historic Resource Survey as being constructed in 1855 — the oldest structure on a lengthy list. Moving homes was common in this pre-permitting, pre-seismic-engineering era. A 2010 Mission Local article about this structure notes that it sits “near its current location” on an 1861 map. George Treat liked the ponies and, in the wide-open San Francisco of the 1850s, that meant he could build his own race track. Pioneer Race Course, the city’s first, stood just west of his home. 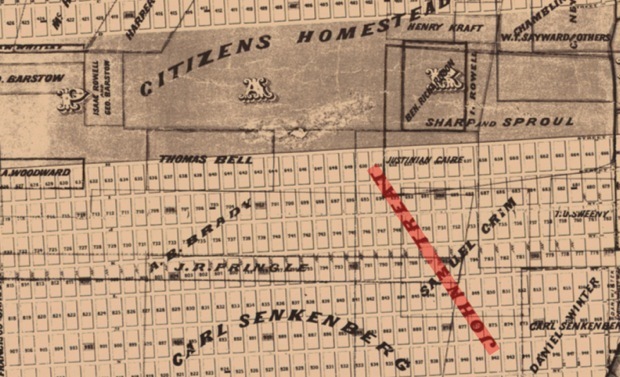 Acity map from 1870 reveals that John Treat owned a hefty piece of land in the Sunset District. “Clearly both of the Treats were involved in speculative real estate” a city planner said. Map courtesy of San Francisco Planning Department. Planning documents note that George Treat eventually sold off the racetrack for residential development and, likely, arranged for the San Francisco-San Jose railroad to run nearby through his land. On top of being farmers and ranchers and, in George’s case, an “ardent abolitionist” and member of the city’s First Committee of Vigilance, the Treat brothers were also, clearly, real-estate speculators. The house may have served as the home base of what was once a small empire for the Treats, who owned sizable swaths of land across the city. George bought up the area on which General Hospital now stands, while his brother owned tracts in the Sunset near Golden Gate Park. Treat Avenue is named after the brothers. While the city’s historical survey lists the building’s construction at 1855, the Planning Department puts it at 1907. That’s not surprising, however. The city burned in 1906, eradicating nearly all old records and, to boot, the nascent city burned a number of times between 1849 and 1859, around when this structure was possibly being constructed. It also mentions the prime location and access to Muni and BART. But not, for good or ill, a steam train. Or a race track. I am a Hampshire street neighbor. There is recent history about these units missing from this article: Over 1 year ago, the tenants of the unit, a family of 4 generations that had called the place home for over 30 years, were evicted under the Ellis act. Prospective buyers, excited to own a home in the mission, should consider that this opportunity came at the cost of another Latino family pushed out of the neighborhood. I am a neighbor. And just to clarify, this building has long been divided into four units–at least since 1994, when we first moved to the block. The four apartments were all rentals, and the tenants–working class Latinos, some who had been there for over 25 years– were evicted via the Ellis Act in February of 2017. The owner at that time, who had previously been convicted of bid rigging in another real estate deal, sold this building late last summer for $1.5 million. What they’re selling now are four TIC’s, EACH of which is going for about $850 thousand or more. Yes, yet one more example of the “logic of the marketplace.” AKA pure, unadulterated greed. 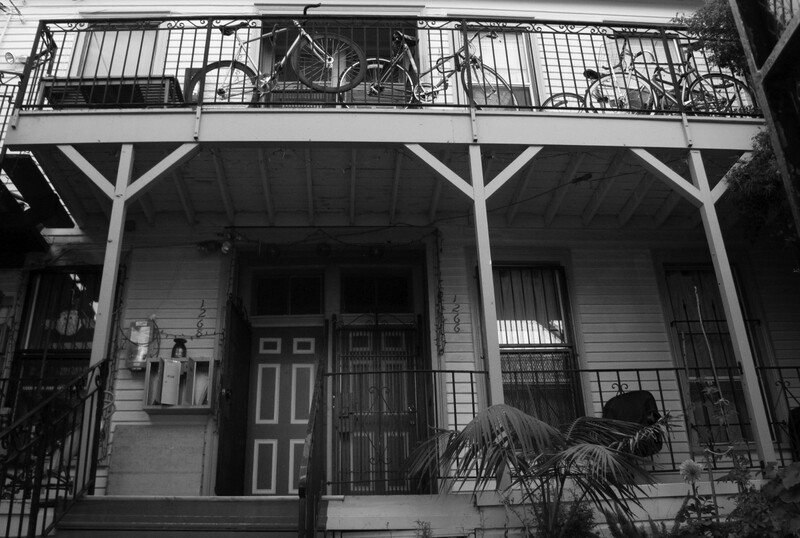 Thanks for bringing the evictions to the attention of Mission Local readers— and others. The neighborhood threads are being shred….